Spectacle offers a three day course specifically designed to meet the needs of businesses, start ups, social enterprises, and charities, as well as freelance marketing consultants, who want to create online video content to promote business. We can also arrange tailored one-to-one training - suitable for individuals, pairs or threes - and schedule bespoke courses for groups of four or more. There is an ever increasing demand for high quality online video to get your message across and to reach audiences. Video can transform your website, it is accessible, engaging and often more convincing than text. After taking our course you will be able you to make pitch videos, explanatory videos and promotional videos to boost your business and brand. Training existing staff to produce high quality digital video content for your website is far more cost effective than hiring an external film crew and can lead to better results: we believe that existing staff often have the potential to advertise, demonstrate and spread the word about products and services that they thoroughly understand more effectively than outsiders. Our Video Marketing for the Web course is the most efficient way to cover production and editing, and offers targeted advice on using digital video to advertise, fundraise and campaign. 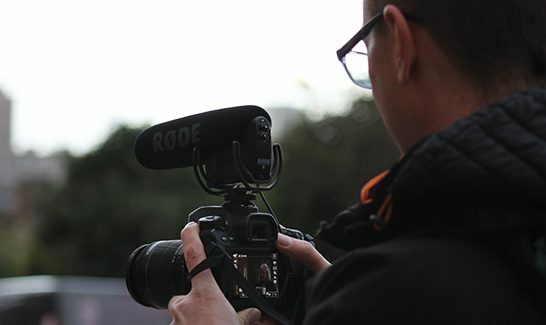 We aim to provide all participants with a solid foundation of practical knowledge: a working understanding of digital cameras, sound recording, interview techniques, filming on location and industry language. The course is hands-on from the start of day one, with a maximum of three people to each camera set up (camera, sound, interviewer) on practical activities. We strive to instil participants with the transferrable skills and confidence to use a wide range of equipment, and focus on the 'future-proof' principles of video production, which remain constant despite changes in technology and formats. Complete beginners through to people with basic or intermediate skills, who want to produce promotional videos for the web. "I was looking for a cost effective course to extend my marketing skills to be able to offer short digital video production for my clients. Would I recommend Spectacle? Only grudgingly - it's my secret support system now, and I'm not sure I want to share... I shall definitely be going back."